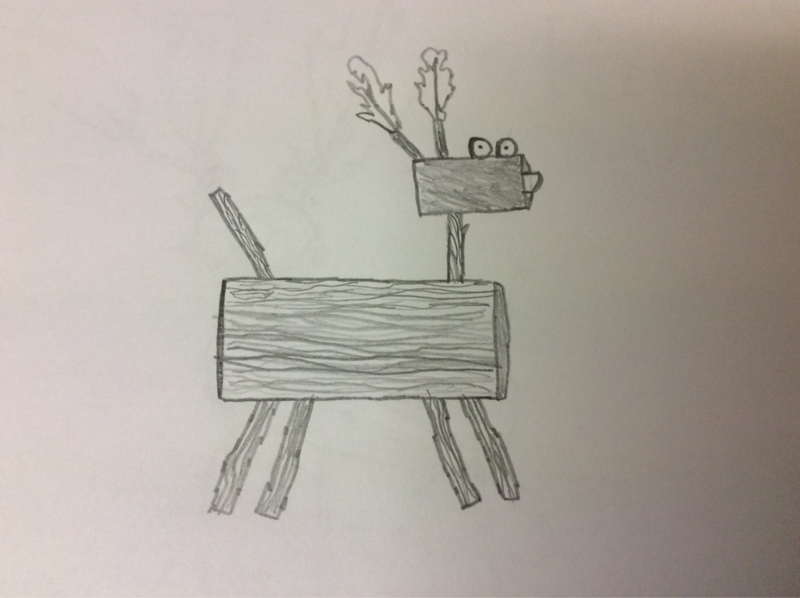 This is Ryan the rights respecting reindeer. He is drawn by Calum in Year 6. You will be seeing him popping up a lot! We also began work on our class charters - we will show you those next month. 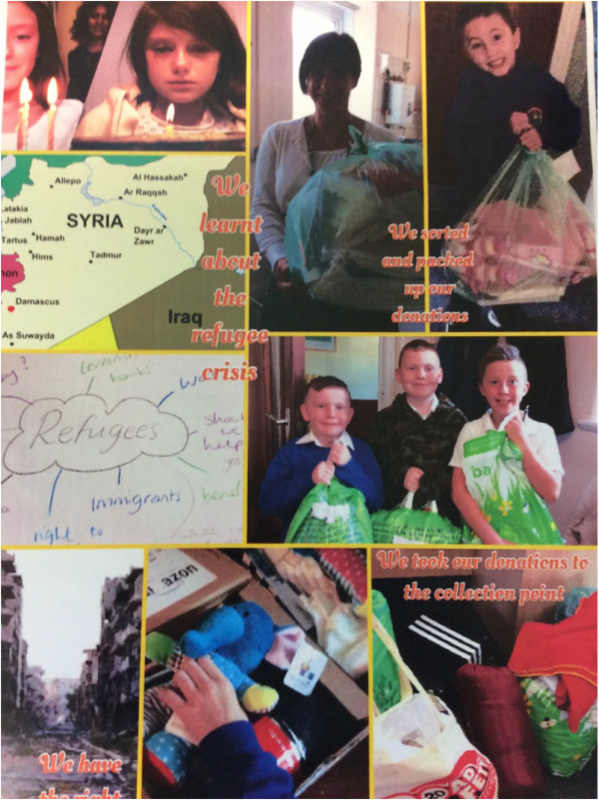 During this month Mrs Jones also began a collection for the Syrian refugees. We learnt a little about what they have been through. 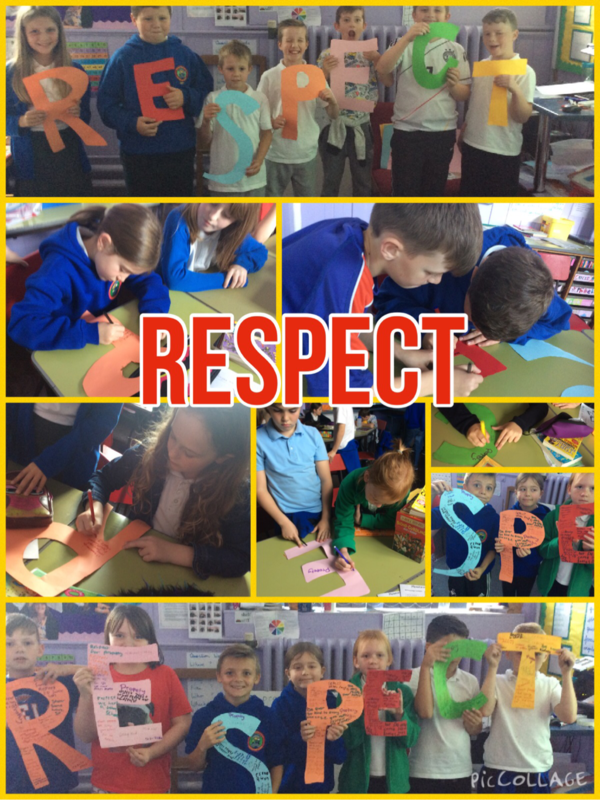 Year 5 had a workshop on respect, they had fun and enjoyed learning and sharing ideas. 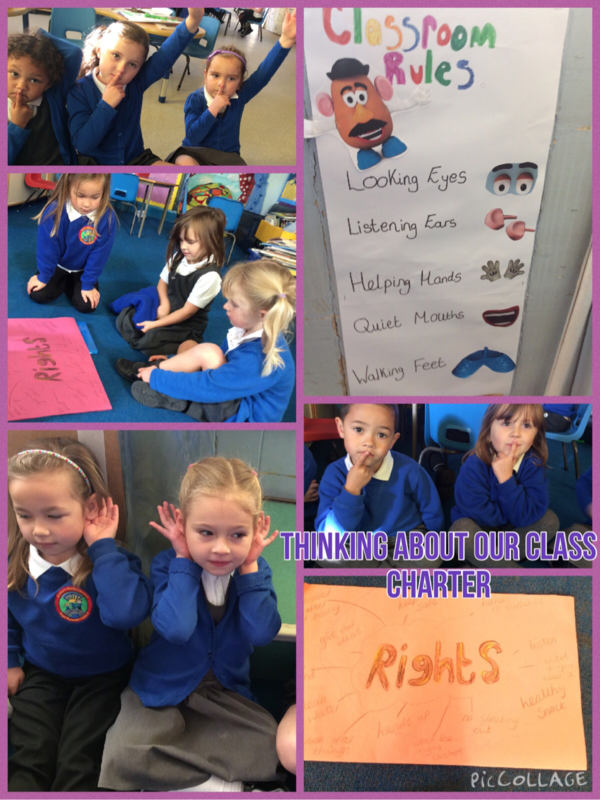 The reception class spent time thinking about their class charter, and what was important to them in their classroom. 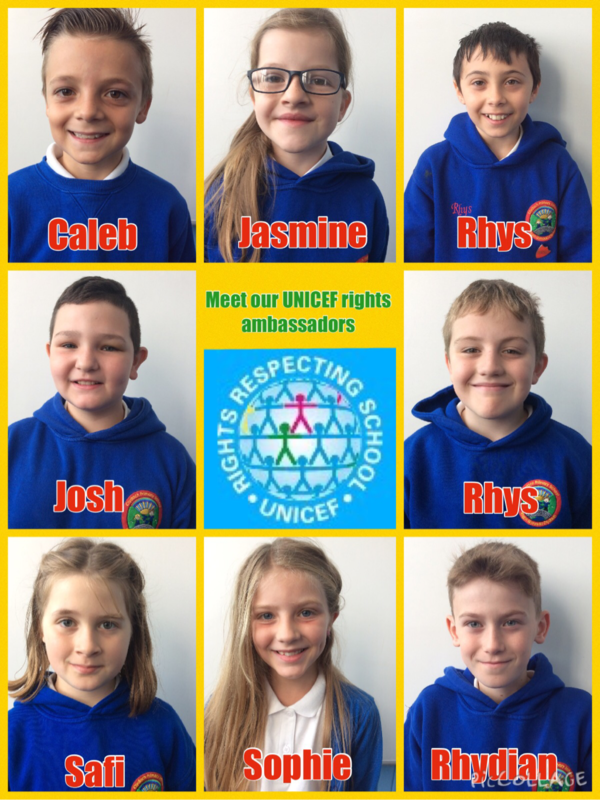 They had lots of good ideas, and they use their charter to help remind them how to behave.